I know, Fritz. 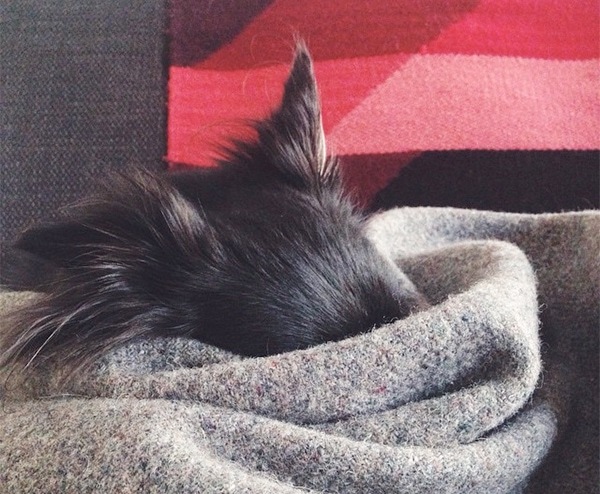 Bloggers talking about blogging make me want to bury my head in a blanket, too. It seems like a lot of bloggers have been writing “What the hell am I doing here with this blog in 2015?” posts lately, and…I get it. Once upon a time, blogging was journaling. And then journaling became blogging, which eventually turned into a job for some people, and then came Twitter, which was like blogging but way easier, and then came Instagram, which kind of started to make blogging on a blog seem, well, almost obsolete. I’m told that there’s something called Pinterest taking away from the value of blogs, too, but I don’t know anything about that. But you know what? I still really love blogging. After 17 years, it still feels like a fresh format to me, and maybe that’s because of all the things that have come along since those heady early days of LiveJournal. I’ve never had a grand vision of what I want my blog to become, which is likely the reason why I haven’t thrown up my hands in frustration and walked away. That said, my lack of a grand vision (and this is something I tend to lack in my attitude about life in general, not just blogging) means that I sometimes question why I’m posting (or not posting) something on such a myopic level that I wind up saving draft…after draft…after draft. Weeks pass, seasons change. Drafts stay drafts. ANYWAY. I need some structure. I need a bigger focus. The words “editorial calendar” kind of give me the creepy-crawlies in the same way that “water feature,” “window treatments,” and “feature wall” do, but I kind of think that maybe possibly an editorial calendar might be the right thing for me. For this blog. And, hopefully, for you, the reader. Sticking to this calendar, even if a bit loosely, doesn’t mean that there’s no room for any additional content, it just means that what falls outside of these guidelines would be…a bonus, I guess. Or just super irritating, if you’re one of those people who likes to read blogs because you don’t like the blogger. Haha. 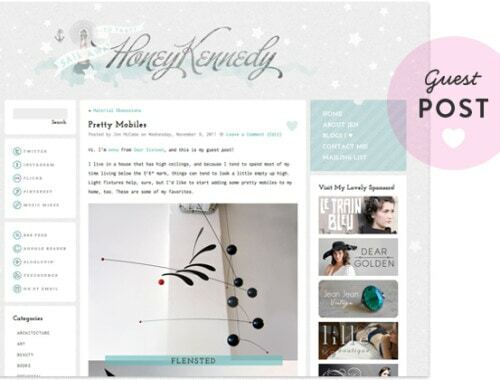 Guest post at Honey Kennedy. yay! Excited to see how it goes along with you. I’m especially ready for Wednesdays you always have wonderfully thoughtful makeup and fashion! I think this is a great idea! I sometimes get overwhelmed with the idea of what to post, and the daily theme seems like a good way to keep things easy and on task. You’ve also inspired me to do some shopping for more plants! Thank goodness for spring! Those plants really got me through the tail end of a cruddy winter, Heather. Go for it! I think that’s a really neat idea, and hopefully will be something you enjoy doing. I’ve always enjoyed your blog, and still really love reading blogs, but it does seem like Twitter + Instagram have replaced them to some degree, which is sad to me. I like the effort that’s put into someone sitting down and thinking out a post, it feels more personal and special, somehow. I guess kind of like how it felt to wait for letters from friends to find out what’s been going on in their lives recently. I feel the same way, Lizzie, and much as I LOVE Instagram (it’s really helped me to progress with photography to a point where I don’t feel like I have to apologize for the quality of every photo I take), I miss having consistent, written journal documenting at least part of my life. I don’t want to lose that after so many years. I admire your effort with the schedule, but have to really say that I appreciate that you don’t ever seem forced. I’ll check in periodically and am always delighted to find that you’ve posted. I actually like it better than some other blogs for which I occasionally feel a tinge of anxiety (what if I’ve missed something great in the flurry of daily posts?). Anyway, thanks for keeping a blog and sharing it with us. Thank you so much for coming back to read my posts, Anna. I don’t think I’ll ever get to the point where I write, like, 50 posts a month, but there’s something to be said for consistency. If I feel like it’s becoming overwhelming (for me or for readers), I’ll scale back. that’s a sweet and simple calendar. Sounds like things I’d come back to read. I love this idea! Not because I want you to force out content, but because I like the faux-friendship side of blogging (not to be confused with real online friendships). You’re one of the very few bloggers that I actually care of about your thoughts, opinions, and preferences. Give me the editorial calendar! I’ll eat it up! That’s very kind of you, Kari. Thank you for your support. Side note about blogs in general. Lately I find myself culling from my reading list anything that doesn’t feel authentic. Too many “top ten” lists, content that feels churned out or poorly edited- it comes through. Now that my attention is divided between Instagram and blogs, I’m just more selective about what I do read. Now my blog reader is full of stuff I actually really enjoy! If I’m being totally honest, I barely have time to read blogs any longer. I miss starting my day out by catching up on my favorites, but once I fell out of that routine, I kind of just gave up. Also, a lot of the blogs I was really into five years ago are now very sporadically updated—they’ve sort of all transitioned to Instagram. I definitely should go through my Bloglovin’ list and freshen everything up, though…and then make a conscious effort to check in regularly AND comment on the posts I like a lot. I will look forward to all these subjects. Although I’ve enjoyed your posts about skincare, because I’m trying to pay more attention to that area, I’m mostly popping in to let you know that it’s been your blog, along with Daniel’s (MN), and Chez Larrson (sadly missed, but glad Benita is still on Instagram), that has slowly moved me in the direction of appreciating a simpler, more minimal, and mid-century design aesthetic, as opposed to my previous appreciation for the cozy, cluttered English cottage circa “The Holiday” aesthetic. I never realized how warm and inviting a cleaner and more neutral look could be, but I’m much more drawn to these kinds of spaces since I discovered your blog several years ago. I’m probably still somewhere on a spectrum between cluttered and traditional vs. clean and modern/Scandinavian currently, but I appreciate the new perspective. I look forward to many more years of your impeccable taste. Thanks, Anna! Thanks so much, Julie! And yeah, I really miss Chez Larrson as well—but I understand why stepping away from the blog format was the right choice for Benita. In my (admittedly biased) opinion, Daniel is the KING of renovation blogging. Nobody else can even come close, because aside from being crazy skilled with construction stuff, he has a distinct aesthetic sensibility AND he’s an incredible writer. I’m so proud of him. I beam at his success, honestly. He’s set the bar very high for anyone else coming into that niche. Well, I have you to thank, as I find Daniel’s blog through your blog. I agree, if I had to vote on whether he’s a better writer or designer, I couldn’t choose. His blog is total pleasure. haha! That would be so awesome! 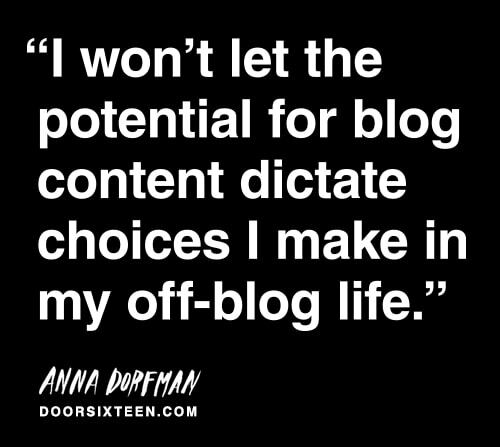 My favorite sentence in your 500+ words is probably “I won’t let the potential for blog content dictate choices I make in my off-blog life.” Can we put it in white Helvetica on black ground and spill it all over Pinterest? I said it on Instagram and I’m happy to say it again: You made my day! Do you mind if I use this on my blog? (With credits to you of course) It’s something I’ve been thinking and wanting to write about and now I’d finally find a few words to say. Well said! And it looks pretty, too! As I see it, blogs are here to stay. I have nothing against editorial calendars – It can work, but don’t be too harsh on yourself if you can’t stick to it ALL the time. I’m a content manager (Hebrew, so don’t judge my English! 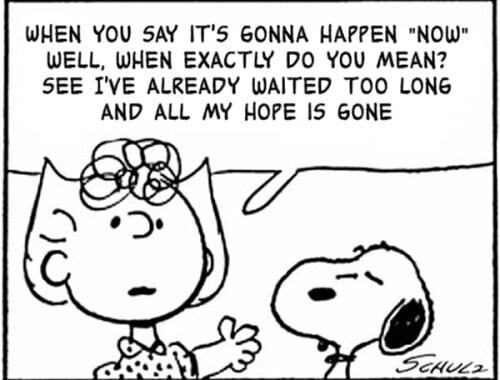 ), and even I, at work, find sticking to a writing plan very difficult. Anyway, what I’m trying to say here is that 1. Blogs are unique, and 2. People attached to the blogger behind it, so you can write whatever you like, and we will still be here (-: For example, I’ve seen this yesterday: http://mashable.com/2015/03/21/post-punk-rockers-marvel-superheroes/ and ammidietly remembered where I read about it before. Thanks for having that faith in me, Jessibee. I do understand why a lot of bloggers feel like they have to churn out so much content, though, and like I said above to Divya, I think a lot of that comes down to whether or not their blog is how they make a living. What happened with Young House Love last year is so telling—I have a lot of respect for the decision they made, but I also feel sad that there’s very little middle ground. You’re so right, Anna. There really should be a middle ground and I think that’s what I was attempting to say in my comment. I love that talented people can make a living through their blogs if they want to but, like anything, sometimes it gets out of hand. I think Nicole of Making It Lovely has done a really great job of balancing things and staying real. YES. I love Nicole, and I love her blog. I enjoy your blog so much and look forward to your posts everytime. They are genuine with great writing and lack tacky DIY. Thanks, Sarah. The funny thing is that I really seem to gradually be coming back around to the type of blogging I was doing at Absolutely Vile (my old blog, pre-home renovation). It’s definitely familiar, comfortable territory for me. I’m looking forward to seeing more of your design work, but honestly, I’m mostly here for the cute dogs. Preaching to the choir, as it were. I’ve been blogging for ten years (and enjoy stopping over here) and feel like a dinosaur. I really enjoy it and mostly regard it as journaling…with intent. Anyway, I look forward to your new direction. Such a fan of this and this comments thread. Yes, more vanity! I have similar coloring to you and am not ashamed to say that I have more than once used your vanity posts to shortcut my own search for a product. 🙂 I enjoy your writing, on whatever schedule you choose. I have been reading your blog since probably 2007 (wow, can’t believe it’s been that long) and remain a faithful reader. You have inspired or influenced many renovations within our old Victorian home (built 1896), my secret adoration of tiny plus signs, and even my skincare routine. I always enjoy reading what you post because you have such a good eye and a defined taste that stands out from the masses. Your voice – and vision – is one that remains fresh today. This is just to say that I don’t see your blog as some placeholder for your “brand” or even a goal in and of itself, but rather as a place where you’re brave enough to show the world what you care about. And I don’t think any reader worth their salt is going to hold you to providing on-demand content. Okay – phew – said with love, from Baltimore. Just chiming in to say that I’m one of those blog readers who like just hearing your “voice” and whatever seems relevant to you (and I dig your style). Else, I’d just go to Pinterest to find a specific project or whatnot. Please don’t let some stress of what you “ought” to be doing, keep you from doing anything at all. And many thanks for all your words thus far. Thanks, Carrie. 🙂 I’m glad to have you here. Hooray! Glad to hear that we’ll be seeing more posts from you. I have loved the vanity posts and think you have a wonderful eye for unique design, as well as an interesting voice that resonates with honesty. Greed, vanity and work. So, basically, my life. Thank you, Anna. I agree with previous comments about liking the un-forced nature of your blog but I’m also not going to say no to more posts!! Love your blog!!! I think this is the first time I comment. Daily, weekly, monthly or every once in a while, whatever you decide. Thanks for sharing. I’m really excited about this! I’ve been blogging in some fashion for at least a decade, but I really struggle with what to post since most of the time I just want a friends-only LiveJournal like it’s 2005, but I worry about getting too personal on the Internet. I love your plan! I very much enjoy your blog – and love your style! Your blog always feels very authentic. If you tell me you like a product, it’s because, well, you LIKE it. Oh, YES. Yes. Yes. Yesyesyesyesssss… I can’t even tell you how many “drafts” I have on the go. *shakes head* I’m quite glad to know I’m not the only one wondering what the hell I’m still doing… am I still doing anything? Well. I don’t usually comment on blog posts, but I felt compelled after reading this one. I’ve been a reader for a couple of years now, which seems like so much in internet years, and I’ve always enjoyed what you do. It’s never been a concern about if you’re doing it, how much you are, or what it even is that you’re posting about. I think this stems from the lack of focus. It helps the blog be whatever works and whatever you need or want at any given moment, much like your life. This breaths a humanity and passion into your posts that so many similar blogs lack and try to force their way into with proper styling, products and the allure of a life to be lived. In the year 2015, I loath the word authentic, but that is what you’re doing. You’re being yourself and presenting it in such a way that it allows, us, your readers to find a connection and that human element. So thanks for everything you do, whether it happens on schedule or not, or even at all. Thanks, Jeremy, for such a thoughtful comment. It’s definitely true that I lack focus in many (all?) areas of my life, and this blog is no exception. In some ways that allows for positive freedom, but other times it just feels like jumping off a (tiny) cliff for no good reason. I really appreciate your support. Thanks again. I love your blog (and your IG feed), and enjoy following it. Lack of schedule doesn’t bother me, but your comment about lack of posting meaning lack of projects on the home front made me nod in agreement. We’ve been working on our home renovation for fifteen years now, and this year we’re tackling an addition. I’m trying to stick to a weekly schedule for posts, but man it’s hard. So don’t stress if you can’t keep it up all the time. I don’t read a ton of blogs, but I read a wide variety. The common thread between them all is the writer’s voice. I like your voice. It’s nice to hear from someone else who’s been blogging (and renovating!) for such a long time. Keep on keepin’ on. I gave up my blog in 2013 when it started to feel forced. I told myself that I want to work on enjoying and being creative in my life for the sake of me instead of a blog or online sharing. I have enjoyed following you for years and this post was so refreshing! I have definitely missed you regularly posting and am excited to hear from you more consistently – and as always your honesty and simply sharing you is why people enjoy reading! Thanks! Does this mean you’re finally going to “design” your site to be responsive? Because people don’t bother with sites they can’t read on mobile devices, just fyi. Hi Annah, no, it means that I’m going to be posting about certain topics on certain days. Feel free to email me (but, um, maybe from a grown-up’s email address and not the fake one you used to write this comment, haha) screen shots from your mobile device so I can see what the issue you’re having is. If there is indeed a problem with readability, I’m glad to address it. Anna, I love that you have an opinion/perspective about home design. Black&white, triangles, natural wood, painted floors, Morrissey posters. Overall, I adore your style even though it is different than my own, but mostly I love your rigor of and devotion to your style. You mentioned that you don’t have the posts about home projects, but I have been so curious to see how your style has taken root in your your new Brooklyn apartment, if you’re willing to share. Thanks for continuing to share via your blog. Blogs are wonderful because they combine images and words and they unravel over time. So excited for more content! But, I love your posts even when sporadic (it’s like going to the mailbox and getting a surprise letter mixed in with all those bills), so if the editorial calendar becomes too much, I hope you’ll still stick to blogging for fun/joy/sharing what you love and not get burnt out. I’d much rather have a random DoorSixteen than none at all. Thanks for all you do. Just wanted to say that I love your blog and I am glad that you will still be posting fairly regularly even if there isn’t a constant “theme” or grand vision. (My apologies if I used quotes incorrectly) Of course I’m with all of the readers that love reno and before/afters but the fact that you can spot and can pass along to everyone the awesome things you find (like the juice bottles from your post today? awesomesauce!) is fabulous. So thank you for hanging in there so that I can look at pretty things when I’m bored at work.